Infographic for World AIDS Day 2014 Vital signs: HIV care saves lives : viral suppression is key (Nov. 25, 2014). HIV care continuum shows where improvement are needed. 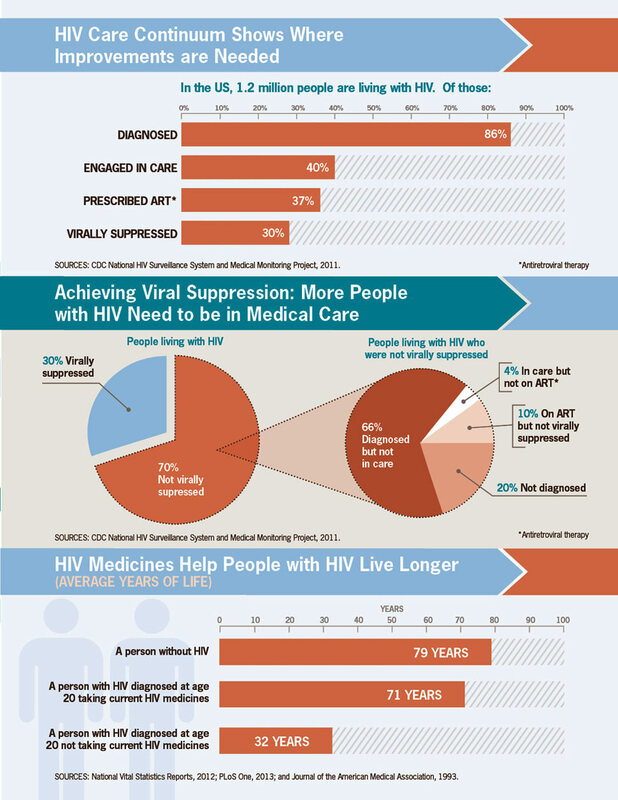 Achieving viral suppression: more people with HIV need to be in medical care. HIV medicines help people with HIV live longer (average years of life).